CHARLOTTESVILLE, VA — How2Recycle, the standardized recycling label system, is pleased to welcome Preserve to its growing membership group. 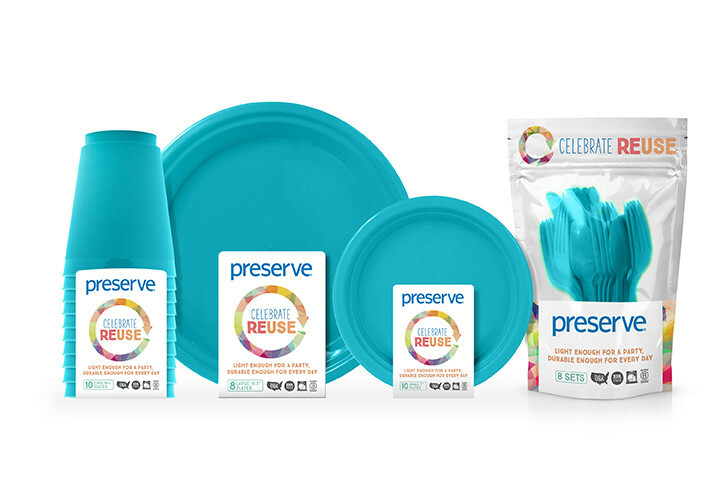 Preserve, a certified B Corporation, sells household products made of recycled materials. The company’s mission is to reduce waste by creating beautiful everyday products using recycled materials such as polypropylene (#5). Preserve will be using the How2Recycle label on its On the Go Tableware line of items. In addition to selling products, Preserve also runs the Gimme 5 recycling takeback program. With collection bins at more than 285 locations across the U.S., Gimme 5, accepts #5 plastics to be recycled into new Preserve toothbrushes and razor handles. Preserve partners with like-minded brands with Whole Foods Market, Stonyfield and Plum Organics to run this program. “Since our founding, Preserve has considered the end of life of our products and our packaging,” said Preserve Founder and CEO, Eric Hudson. “We recognize that recycling can be confusing with so many items of different materials to recycle. We are excited to be partnering with How2Reycle and about the steps they are taking to add a clear, uniform labeling system to help consumers recycle.